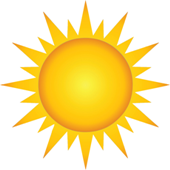 Today: Clouds and a high near 66° this afternoon. West wind of 5-15 mph will become N-NE this afternoon and gust to 20 mph. Tonight: Mostly cloudy with a low around 41° and north wind coming at 10-15 mph. Wednesday: Mostly sunny, a high of 56°, and NE wind 5-10 mph. Overnight, there will be lots of clouds and a low of 42°. On Thursday, the first day of the Lampasas Stock Show, a 20% chance of rain before noon, otherwise mostly cloudy and a high of about 55° in the afternoon. The calm wind will shift to S-SE around 5 mph in the morning. Showers are likely, about 60% chance, overnight. It will be cloudy with a low of 46° with a south wind of 5 mph. Stock show Friday brings a 70% chance of rain and a high around 57° with south wind 5-10 mph. Overnight the wind will shift from south to north after midnight. Stock Show Saturday will bring a little chill in the air from a north wind of 10-15 mph. The high should be in the low 50s. Saturday night, the final evening of the stock show, will be cloudy and cool, dropping to 36° overnight with that north wind pushing in. Pretty much the same kind of weather will be around on Sunday with a daytime high in the low 50s and an overnight low in the mid 30s.